Curve Lake First Nation voted on Saturday on whether to accept $164.3 million from the federal and Ontario governments as part of a larger, $1.1-billion settlement for seven area First Nations — a bad deal, two Curve Lake members said, because it puts the money in the hands of a chief and council who haven’t elaborated on their plans for it. Voting was to go on at the Curve Lake community centre until 8 p.m. The result wasn’t clear by deadline Saturday. Members of the Curve Lake, Hiawatha, Alderville, Mississaugas of Scugog, Chippewas of Georgina Island and Beausoleil First Nations all voted on the proposed settlement. 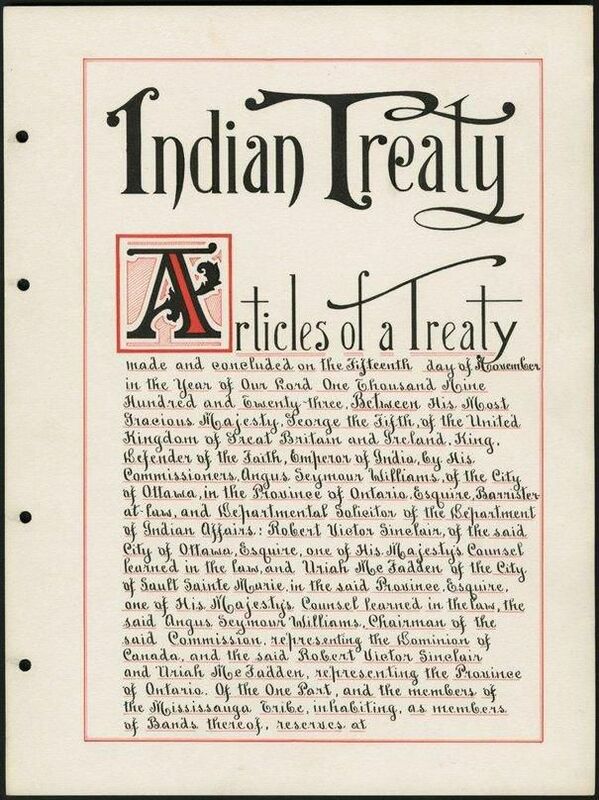 If approved, the deal would end decades of court litigations and negotiations over the controversial Williams Treaties from 1923, The Toronto Star reported earlier this week. The First Nations have alleged for years that the Crown unjustly crafted and implemented these agreements without fair compensation for their land, the Star reported, and that the First Nations never surrendered fishing, hunting and other rights in the 20th-century treaties. But at least two members of Curve Lake First Nation said they had grave concerns about the deal on Saturday. After casting their ballots, they spoke anonymously, noting that all members signed a confidentiality agreement barring them from discussing details of the prospective settlement with anyone who isn’t a band member. They cannot even discuss the deal, member-to-member, in public. An organizer of the vote asked a reporter to leave the voting-place parking lot on Saturday, saying it was a confidential First Nation matter. They said that following the vote, the chief and council are expected to decide, in closed-session meetings, whether money would be distributed to members. The two said they were told by Chief Phyllis Williams that band members had a chance to speak about where the money should go at a community meeting held in May. Williams couldn’t be reached for comment on Saturday. In a recent memo to Curve Lake members from Williams obtained by Peterborough This Week, the chief writes that she regrets some members are unhappy there wasn’t any discussion at community meetings held prior to the vote about whether members should each get a share of the money. Those meetings — held at the Holiday Inn in Peterborough — were about sharing the proposed legal settlement, she writes, and organizers didn’t want to “cloud the information” with talk of whether to distribute money on a per-capita basis. The proposed settlement — outlined in legal documents obtained by The Examiner — includes the $98.6 million for Curve Lake from the federal government and $65.7 million from the province. Divided among the 2,177 members of Curve Lake First Nation, it would add up to roughly $75,500 per person. Meanwhile, Williams has long advocated for a water-treatment plant for Curve Lake to end a decade of near-constant boil-water advisories on the reserve. That would cost $25 million, she has said — unaffordable unless the band receives government money (which hasn’t yet been announced). Earlier this month, Curve Lake issued a request for proposals from consultants interested in providing engineering services as they develop a water-treatment plant. The two members say they are skeptical a new water treatment plant could serve the more remote homes in the 300-household reserve, or that it could be done without drying out the wells of neighbouring townships, a concern that derailed a previous proposal for a water-treatment plant, the members said.